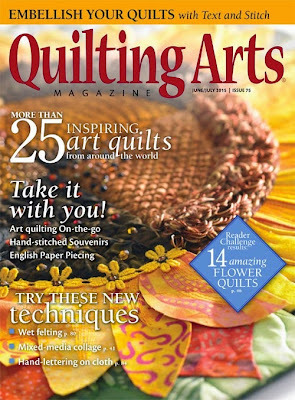 My work is featured in the June/July 2015 issue of Quilting Arts magazine, which will be going out to subscribers, and on newsstands, soon! You can buy it online here right now. 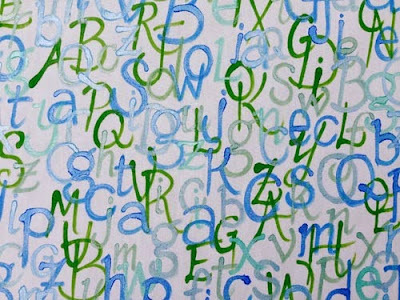 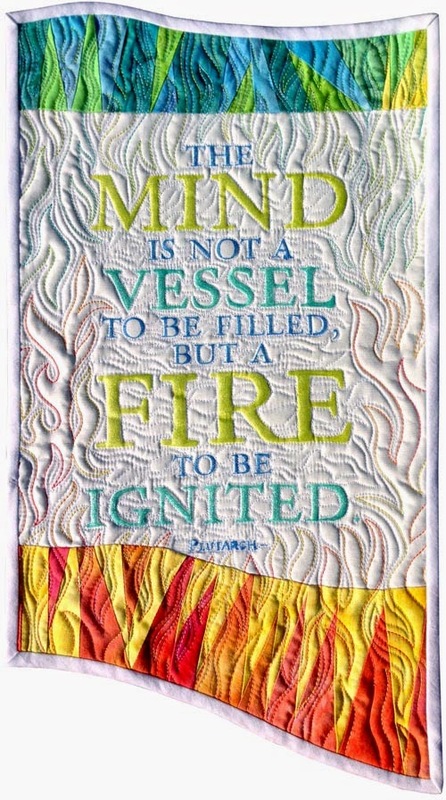 It focuses on using acrylic inks to do lettering on cloth for art quilts.